I’ve definitely got into wearing false lashes in a big way, I just love the way they can complete an eye look. Here’s some of my fave lashes I’ve been loving recently woooo! The first pair of lashes I ever bought, I honestly love these. If you’re a newbie to the whole eyelash thing then I’d definitely recommend these. They just give that extra bit to your lashes, they’re not over the top or daring, just pretty and natural yet still noticeable. These are a little bit different from the last pair. If its volume you’re looking for then these are the one. I think these are perfect for a night out, or if you’re doing something fancy. If you’ve done some cool eye makeup these finish the look sooo perfectly. Also if you order them from False Eyelashes.co.uk then they’re a lil bit cheaper! I picked these up for a gathering I was going to a few weeks back and I’ve used them a fair few times since, I loove the way they look. They’re thinner in the middle and ‘flutter’ out the further they go out. This looks so flattering because it gives some lift to the outer corners of your eyes. Super pretty. The cheapest of the bunch and probably my favourite. I’d heard Tanya Burr talking about the Ardell Demi Wispy lashes a while back, and when I saw Red Cherry offered some I had to give them a try. These look so natural but still SO pretty ahh. Each individual lash is separated nicely to make them look even and really flattering. Again these are super cheap over on False EyeLashes.co.uk so I’d recommend highly! 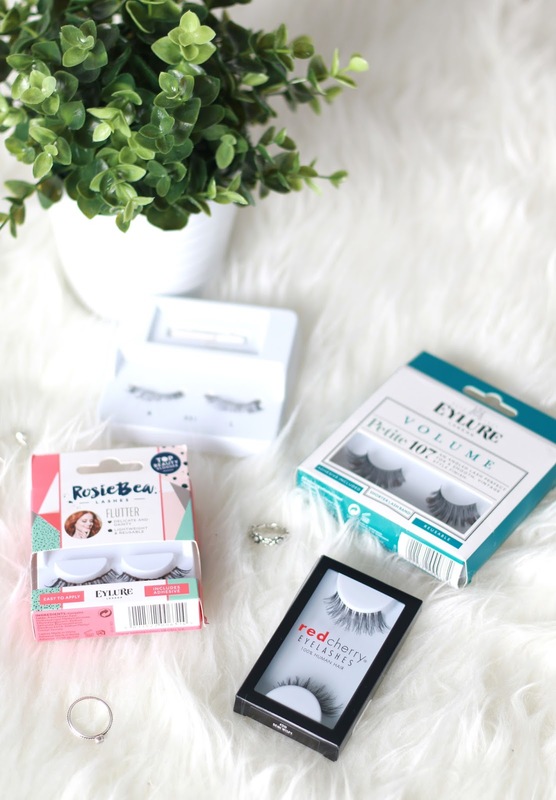 Do you have a favourite pair of lashes?